Greatguess, the last time we spoke, you informed me that the construction at Plant 42 Site 4 had nothing to do with the B-21 Raider program. So today Friday January 19th 2018, I decided to take a quick look around the perimeter of Plant 42! 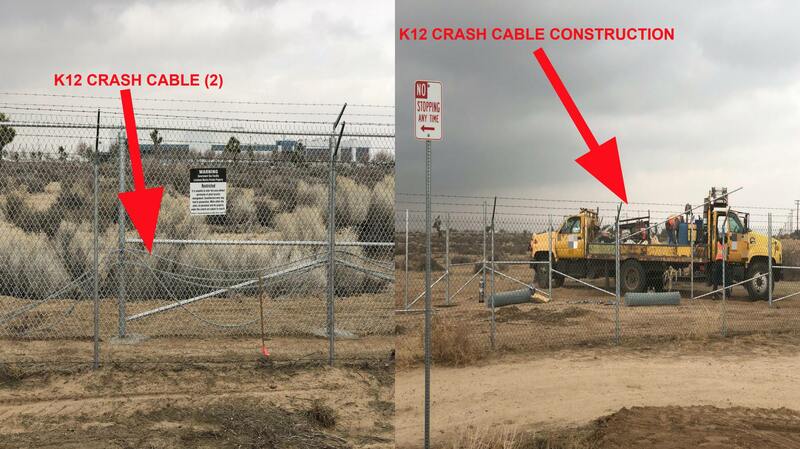 The only Federal related construction I was able to find on the SW side of Plant 42, was a contractor installing K12 anti-crash cables on the perimeter fence! For those who don't know, a K12 rated gate, fence, cables, can stop a 50,000 pound semi-truck, at 50 mph, dead in its tracks! As far as any aircraft related construction, other than Site 4, no luck! I highly doubt this far in the B-21 program, critical infrastructure is just starting to be built now! That's why I was//am so convinced the activity at Site 4 is directly related to the B-21! Since you seem to know more about this subject than I do (Greatguess,) do you know if the construction you were referring to is supposedly taking place ON Plant 42, or south of the actual facility itself?